Yesterday, I pulled into the service station to fill the tank. I also asked for help because I was filling a gas canister for the first time and didn’t want the nasty stuff splashing all over me. I have advertising on my car. In fact, it’s one of the best investments I’ve ever made. Because of the advertising, I find myself in some odd circumstances explaining what I do. This time, it was the station attendant. “I suppose they do that a lot in America,” he said as an opening statement. I consider every conversation an opportunity to educate people about the wellness impacts and multiple benefits of dog massage. It isn’t just about ‘rehabbing’ from injuries – it’s a lot more! Someone asked me what I do for a living and I described my dog massage practice and how many of my clients are older dogs with varying degrees of arthritis and other orthopedic problems. I tried to explain that there are many things we can do for dogs with arthritis which keeps them pain free and happy. And because their pain is managed, they live longer. I did my best to say that his friend needed to get his dog to a vet for an examination and that I would be too happy to see him for an assessment. Behavior changes often occur when a dog is in pain. And, just because the dog is older doesn’t mean the issue is arthritis. We would need a working diagnosis from a qualified veterinarian. He took my card; I hope his friend calls. I can’t stand the thought of another dog who is in pain and doesn’t have to be. It’s not about old age; it’s about the right care. 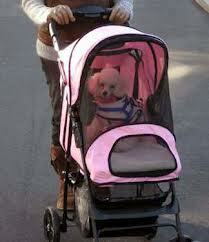 Many people think that a dog in a stroller is a step too far. But if you have a dog with mobility issues, including old age, they can work wonders for your dog’s mental health and save you a lot of stress and strain. Imagine not being able to walk a few blocks to the local park… Driving is one way, but then you don’t get as much exercise and your dog enjoys less time in the outdoors. This is where a stroller can come in. You can still enjoy a walk and your dog gets out without having to rev up the car. In addition, you will probably find that a dog in a stroller is an attention-getter – so be prepared for people to interact with you and your dog on a regular basis. 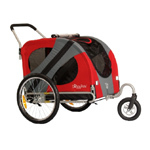 There are many stroller designs to choose from and most can easily be ordered online for convenience. 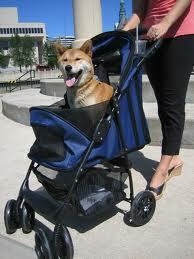 When should you consider adding a stroller to your dog’s regime? Does your dog pull up lame after only a few short blocks on a regular basis? Is the condition chronic – such as arthritis – meaning it isn’t curable? Are you managing an older injury, such as a cruciate repair or strain and surgery is not an option? If you answered ‘yes’ to any of the above questions, a stroller should be considered. Arthritis is a common condition in older dogs. At first, though, owners may not always realise when their dog is suffering. That’s because dogs tend to hide discomfort and pain from their pack. One day in 2011, Daisy let me know something was wrong. We were out walking and she slowed down and stopped and the look in her eyes was one of pain. She had finally let me know that she wasn’t feeling herself. A series of x-rays confirmed arthritis in her lumbosacral spine and left hip. Since then, she has responded to rest, conventional treatments, hydrotherapy, and other complementary therapies including my massage and laser treatments. Quality of life for an arthritis sufferer can be attained – once the owner is aware of the problem! 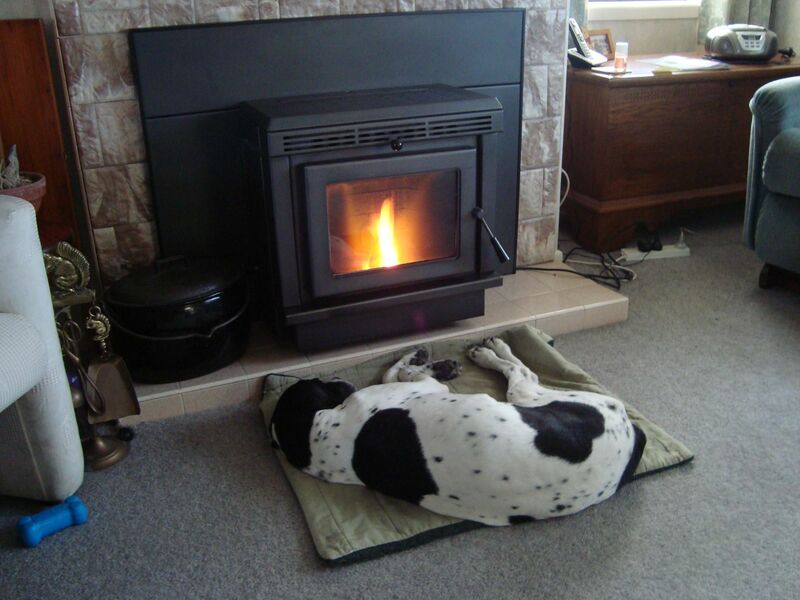 As most of my regular readers know, I’m passionate about holistic health for our dogs. It helps, though, when we have statistics like the Banfield State of Pet Health Report 2013 to show us the ailments that are more common. In this report, we see that obesity and dental health are 2 major problems. So ask yourself honestly – is my dog a bit heavier than he/she should be? Is the dog’s bad breath a sign of something more sinister? Through my practice, I can help dogs with both conditions (plus others, like arthritis). Last year, I shared a summary of Banfield Pet Hospital’s 2012 report on the state of pet health in America. The report was full of interesting information on the common ailments and diseases they see in the cats and dogs who visit their hospitals. It also called out a disturbing trend being seen in both types of pets – an increase in pet obesity. In their 2013 State of Pet Health Report, Banfield shares even more interesting information on the average lifespan of pets and some frequently occurring themes (also seen in the 2012 report). This year’s report provides pet owners and veterinarians with even greater insight into the health of all our pets and where we should be focusing our attention. 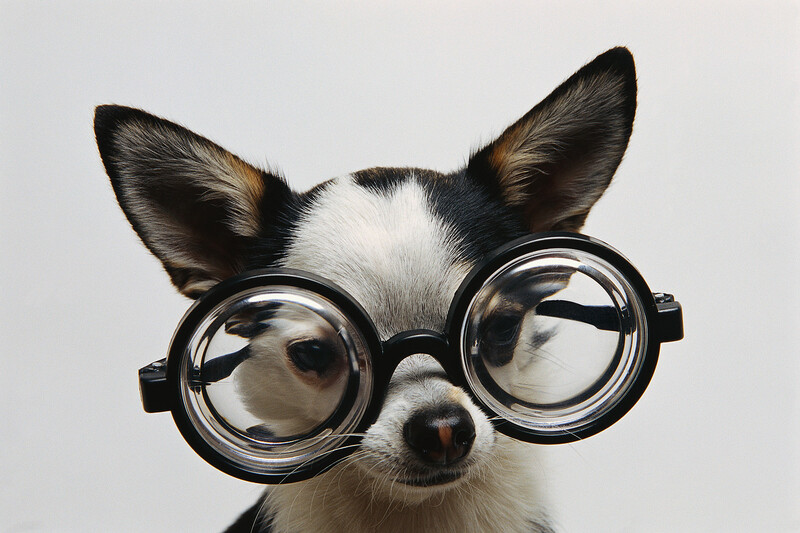 Toy or smaller breed dogs live 41% longer than large breed dogs. The projects are led by James Roush, a professor of clinical sciences. In one study, the research team determined that the maximum effective time for using hot and cold packs for pain management is 10 minutes. The researchers studied how packing affects tissue temperature in beagles and beagle-sized dogs after surgery because hot and cold packing is a common technique for reducing swelling. After 10 minutes, the maximum change in tissue temperature has been reached. In another study, a special mat is being used to study lameness in dogs suffering from osteoarthritis. When dogs step on the mat, it measures the pressure in their step and the study team can determine in which leg the lameness is worse. And in a third study, Roush is collaborating with researchers to study the effectiveness of a painkiller used to treat dogs to identify potential alternatives. Would a raised dog feeder help my dog? A massage client asked me this question earlier this week. The dog in question is a Boxer (beautiful boy) who happens to be suffering from degeneration in his spine. Would a raised feeder help my dog? Raised feeders can be a real advantage for a dog with orthopaedic problems or arthritis. 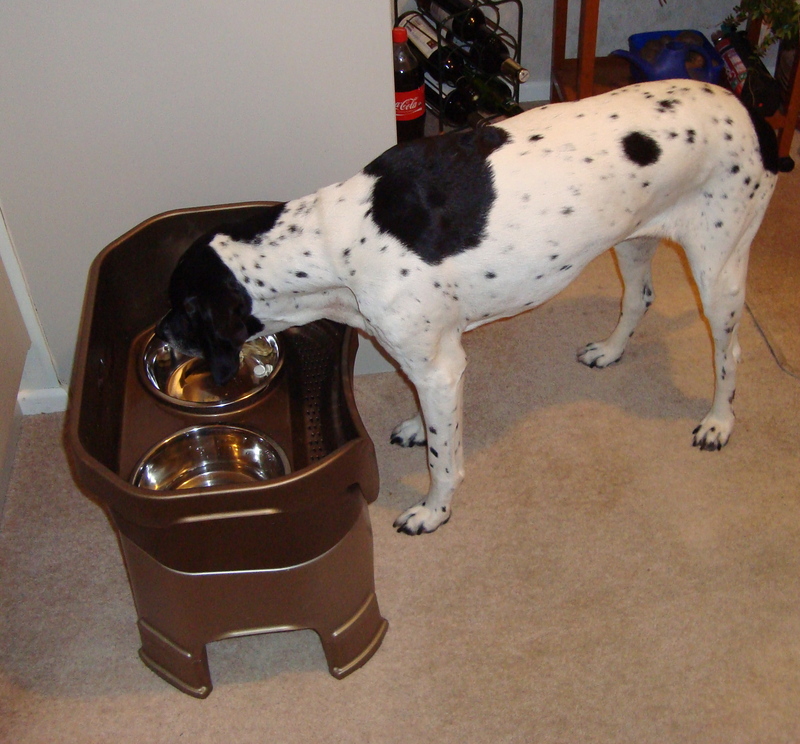 Eating from a raised feeder helps to relieve strain on the neck and back, allowing the dog to eat without dramatically altering their posture and helping them to retain balance. But – some studies have shown that dogs who are susceptible to bloat have an increased risk from eating from a raised feeder. The most notable reference for this link is an article by Dr Larry Glickman in Journal of the American Veterinary Medical Association, Vol. 17, No. 10. Gastric dilation-volvulus (GDV) is known by the common term ‘bloat’ and other terms such as ‘stomach torsion’ or ‘twisted stomach.’ Regardless of what name you use, the condition is life-threatening. Dogs can die of bloat within several hours. Even with treatment, as many as 25-33% of dogs who develop bloat will die. In bloat, the stomach fills up with air and puts pressure on the other organs and the diaphragm. The pressure on the diaphragm makes it difficult for the dog to breathe. The air-filled stomach also compresses large veins in the abdomen, preventing blood from returning to the heart. Filled with air, the stomach can easily rotate on itself, pinching off its blood supply. This rotation is known as volvulus. The stomach begins to die and the entire blood supply is disrupted. A dog with this condition can deteriorate very rapidly – meaning a trip to the vet as an emergency. Purdue University ranks Boxers as the 16th breed most susceptible to bloat (Great Danes are the highest). So, in this case, the owner decided not to opt for a raised feeder. Not only is her Boxer on the higher risk list, but he also is a gobbler – making quick work of his food! This is just one example where it pays to do a little research. An idea that seems like a good one may not be so.